A herd average of 85 days or less for Days Open indicates cows are being bred too early in lactation. Recent research has shown that the level of milk production was decreased significantly in the lactation that followed early postpartum (after calving) breedings. Most producers are interested in overall efficiency of milk production (commercial herds) and not in obtaining large milk production records on specific cows. Some breeders of registered cattle, however, are interested in obtaining maximal milk production records on individual cows to increase the sale value of these animals or their offspring. Days Open values between 116 and 145 Days are interpreted differently for these two types of herds. A value for Days Open of 116 to 130 Days indicates a slight problem for commercial herds, but may be adequate for breeders of registered cattle. A value for Days Open of 131 to 145 Days indicates a moderate problem for commercial herds and a slight problem for registered herds. A value for Days Open of over 145 Days indicates a severe problem for all herds. Actual Calving Interval is an indication of reproductive performance from 9 months to 2 years prior to the current date. This measure only reflects reproductive successes, however, and does not take into account reproductive failures. Cows that are culled for reproductive problems can be considered failures. Actual Calving Interval is figured by calculating the number of months between the most recent calving and the previous calving for each cow in second or later lactation. A Calving Interval is not calculated for first-calf heifers. The Calving Interval for each cow is then added together and the total is divided by the number of cows in second or later lactation. Actual Calving Interval should be interpreted according to the guidelines in Table given below. Producers with a herd having an Actual Calving Interval of under 11.7 months and a Days Open of under 85 Days should breed cows later in lactation for their first service to increase Days Open to 85-115 Days. Recent research indicates that milk production of herds with an Actual Calving Interval of under 11.7 months is significantly less than milk production of herds with a Calving Interval of 11.8-13.0 months. Similar to Days Open, Calving Intervals for commercial herds are interpreted differently than Calving Intervals for herds with registered cattle. An Actual Calving Interval of 13-13.5 months should be considered a slight to moderate problem for commercial but may be adequate for registered herds. An Actual Calving Interval of 13.6 to 14.0 months is considered a moderate problem for commercial herds and a slight to moderate problem for registered herds. An Actual Calving Interval of over 14.0 months is indicative of a severe problem in all herds. 1. Calculate the number of days from calving until first service for all cows inseminated. 2. 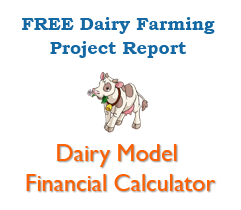 Calculate the average DFS for the herd by adding together the DFS for each cow and dividing the total by the number of cows inseminated. After determining the earliest number of days postpartum that a cow can be bred in a herd (DFS Goal), the average DFS for a herd should be interpreted according to the guidelines in the table given below. Problems in herds with average DFS minus DFS Goal over 18 days can be due to cows being anestrus and/or unobserved estrous periods. Calculate the average S/Conc by dividing the total number of breedings by the number of pregnant cows. Average S/Cone should be interpreted according to the guidelines in Table 4. Poor levels of fertility may be due to inaccurate estrous detection. Accurate estrous detection may be confirmed by milk progesterone analysis. Improper techniques for artificial insemination may also lead to S/Conc greater than 2.0. An examination of techniques used in artificial insemination or a refresher course could be beneficial. This comparison can indicate whether overall reproductive efficiency during the last nine months is better, the same, or worse than the herd reproductive efficiency during the previous year. To compare Days Open to Actual Calving Interval (Cl), a Projected Minimum Calving Interval (PMCI) is calculated. Average Days Open is added to the gestation length, in days, for the most common breed in a herd (Brown Swiss,290 days; Holstein, 279 days; and Jersey, 279 days). This total is then divided by 30.25 days/month. For example, PMCI for a Holstein herd averaging 123 Days Open would be calculated: 123 days + 279 days= 13.3 months for PMCI. 30.25 days/month Comparisons of Cl and PMCI should be interpreted according to the guidelines in the table given below. Herd reproductive management does not need to be changed with improving reproductive efficiency, unless the number of missed estrous periods or repeat breeders still requires improvement. For herds with an unchanging level of reproductive efficiency, the effectiveness of reproductive management procedures should be evaluated if the value for Days Open indicates a problem exists. If overall reproductive efficiency has gotten worse during the last nine months, the effectiveness of management procedures concerning reproduction should be evaluated. Estrous detection efficiency can be expressed as the percentage of Heats Detected (total estrous periods when a cow was detected in estrus). The percentage of Heats Detected can be estimated by first calculating an average breeding interval for the herd and then comparing the breeding interval to Table 6. Breeding interval is the average number of days between first breeding and the insemination resulting in pregnancy. Average breeding interval, can be calculated by the following formula: Breeding Interval = Average Days Open-DFS (S/Cone-l) An example for a herd with an average Days Open of 140, an average DFS of 2.6 would be: Breeding Interval = 140-75=41 days (2.6-1) Comparing the breeding interval to Table below, 41 days corresponds to 50% of Heats Detected. A guideline for interpreting percentage of Heats Detected is summarized in the Table below.. Producers with severe problems should improve their estrous detection program. Moderate problems may be caused by not observing estrus in certain cows. Examining records of individual cows may be useful. Anestrous cows or cows with feet and leg problems may be difficult to observe in estrus. Herds that also have a poor level of fertility (S/Conc over 2.0) should use milk progesterone analysis to determine the accuracy of heats detected. Some herds may have excellent estrous detection efficiency yet have poor fertility (S/Conc over 2.0), suggesting a problem in estrous detection accuracy. (Cows are thought to be in estrus when they are not.) Progesterone analysis of milk samples collected on the day of breeding can be used to determine accuracy of estrous detection.